So yes, her husband George is technically the movie star. 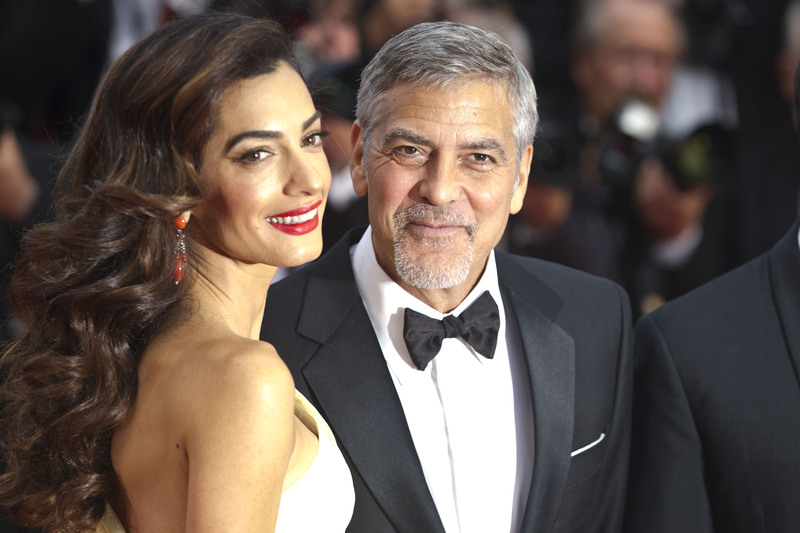 But it was Amal Clooney who quite literally stole the show during her Cannes debut, supporting Clooney's thriller "Money Monster." The dress was Versace. The makeup was courtesy of her longtime artist, Charlotte Tilbury, who also did Clooney's face during her lavish Venetian wedding. The key to the whole look: "a soft smoky eye, perfect red pout and a flawless complexion," per Tilbury. And while we can't get you time with Clooney, we can help you achieve his wife's stunning visage. Step one: Hydrate with Tilbury's Magic Cream, then prep the skin with Wonderglow. (All products available at Nordstrom). Step two: Apply Magic Foundation in Shades 7 and 8, followed by The Retoucher in Shade 3. Step three: Warm up the complexion with Bronzer Brush with the sculpt shade Filmstar Bronze and Glow and dust it across the temples and over the cheekbones. Step four: Apply Chic Blusher in Ecstasy on top of the cheekbones for a romantic flush. Step five: Perfect the brows with Brow Lift in Cara D.
Step six: Make the eyes pop with The Luxury Palette in The Vintage Vamp, followed by Rock n Kohl Eyeliner in Barbarella Brown along the upper lash line along and out into a soft flick for subtle definition. Step seven: Curl the lashes with Life Changing Lashes and apply two coats of the Legendary Lashes mascara. Step eight: Create the ultimate pout with K.I.S.S.I.N.G Lipstick in Love Bite.